Hand Protection Myths: What’s Real and What’s Not?! Gloves and general hand protection is one of those topics that seems pretty straightforward at first glance. Spoiler alert: It isn’t! There are tons of options out there; tons of marketing about the greatest performing glove since a caveman strapped a leaf to their hand. So what are you supposed to believe? Great question – let’s start off by addressing the biggest myths floating around out there in the hand protection universe. Myth: Leather is cut resistant. Let’s think about this one. Leather is literally dried animal skin. Why should cow or goatskin stop a knife from injuring you any better than your own skin would?! For leather gloves to actually be cut resistant, they need to have an additional protection factor built in, like a Kevlar, cut-resistant liner. Myth: Cut gloves are cut-proof. We hear this one a lot, and let me tell you something: anything can be cut if you try hard enough! This is why gloves are tested and use the ANSI rating system from A1 to A9. The higher the number, the better it will resist a razor blade. 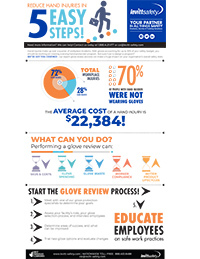 Click here for more detail on the rating system and choosing a cut glove. Even Everlasting Gobstoppers don’t last forever. Sad, but true. Gloves are the same. As the glove wears away, so does the protection. Chemicals permeate through chemical resistant gloves over time. Cut resistance is reduced as the outer layer wears away, so they won’t be able to protect against the same amount of cutting force. Even gloves that used to be waterproof can start to leak! Inspect and replace your gloves before these issues pop up. The signs that indicate your gloves need to be replaced can vary; nitrile or latex disposables should have no wear signs, cut gloves should be replaced when 1/3 of the thickness has worn away, and chemical gloves should have no discoloration, cuts, or scratches. Myth: Chemical gloves protect against all chemicals. Chemicals do weird things. Want proof? Pure sodium in water creates a fireball. Seriously. YouTube link here for the skeptical. There are a ton of nasty chemicals out there, which lead to a few concerns when it comes to chemical gloves. The chemicals can either eat away at and break down the glove material, or the chemical molecules work their way through the material (which is called permeation). We’re most concerned with permeation when it comes to chemical gloves, and each type of material performs differently. 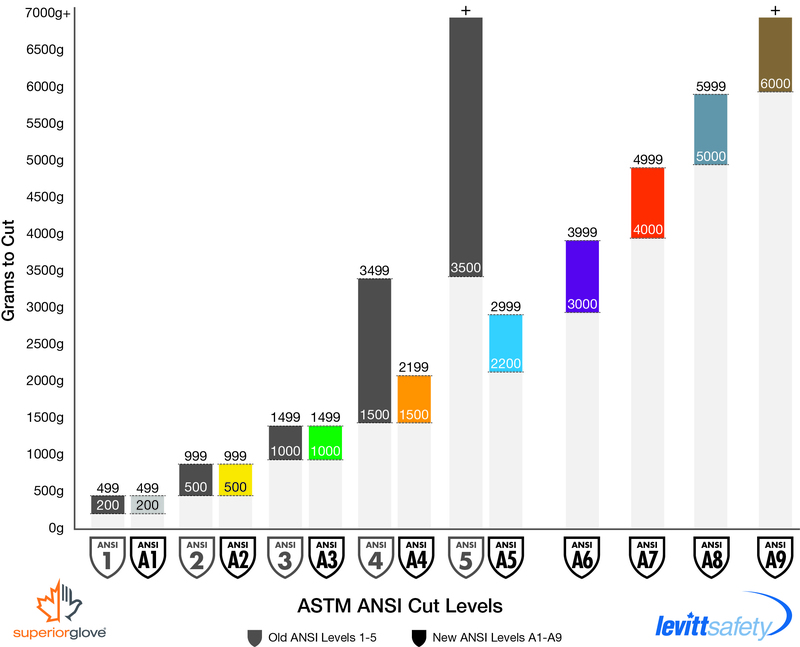 Take a look at the ASTM test data. It will show you the permeation times for different chemicals to ensure you’re protected. Myth: Higher protection ratings mean better gloves. Congrats, your metal gauntlet can take a hit from a steel broadsword. Great! Now pass me that pencil. Oh wait, you can’t actually grip it? My bad! High-cut, puncture, or chemical protective gloves tend to be much thicker than their lower-rated (for protection!) siblings. Some jobs demand dexterity and feel, so defaulting to a higher rated glove will sacrifice job performance and comfort. Match the protection level to the task, which has the bonus of not having workers take off gloves to perform their work. Still have questions? Want to learn more hand protection basics? Check out our Hand Protection 101 Video now, or contact us for more information.